From national chains to regional fixtures, c-stores across the country are transforming themselves from ordinary stops along the highway to brands poised to command customer loyalty like never before. And it all starts with better convenience store design. If your store still features the crowded, utilitarian look of the past, modernizing may help boost your business and give you an edge over competitors stuck in yesteryear. We rounded up these convenience store remodeling ideas to help you get in on the c-store renaissance. Benefit: Increases customer browsing time. Wider aisles so customers don’t feel crowded and rushed. Cleverly positioned shelving that makes your products visible when a customer walks through the door. Multiple registers so that long lines don’t interfere with traffic flow or point-of-sale purchases. These changes also make it easier for cashiers to keep an eye out for shoplifters and other security issues from the register. Most c-store customers come in with a specific purchase in mind – the truck driver stocking up on energy drinks or the commuter stopping in for a coffee. 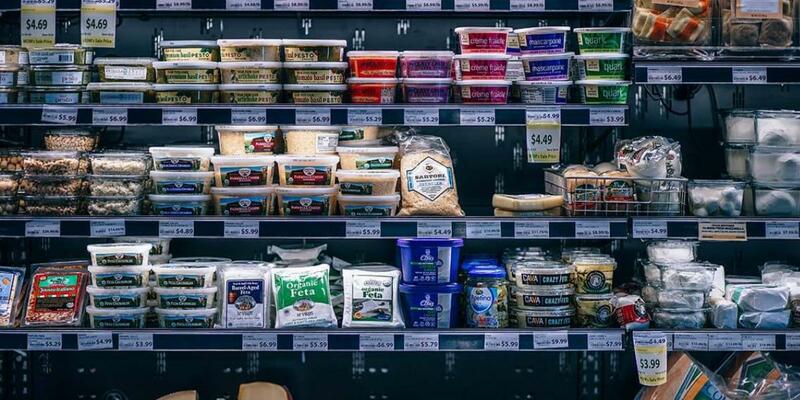 But with some relatively simple shelving and refrigeration updates, combined with the layout changes above, you can encourage customers to buy more than they originally planned. Install graduated tiered shelving. This improves sightlines and provides visual interest to keep people browsing. Switch to modern beverage cases. Newer models are designed to increase reach-in. They’ll also help you save on overhead with better energy efficiency. Put popular items at the back of the store. Placing popular fixtures like your coffee station or beverage cases in the back invites customers to browse other items along the way. Benefit: Differentiates your store from competitors. Adding a fixings bar. Whether you sell nachos, fries, hot dogs or something else, the ability to customize one of these classics with a range of fixings is one of the best ways to get people excited about your store. Adding fixings is also a simple way to increase their sales while offering them at a higher price. Revamping your coffee station. Feature various types of brew as well as options like cappuccino and tea. Include dispensers for flavored creams or syrups, allowing people to create their own perfect cup. Partnering with a food chain. Many national chains are eager to team up with convenience stores. Offering customers’ favorite food in addition to the other staples they need could give you a big leg up over competitors. Install lighted signs above the checkout area to promote high-margin items, announce a new offering or advertise a great deal. Just don’t overdo it—focus on conveying one message at a time. Add small display cases to the register area to make sale items more eye-catching. Invest in modern registers, which will allow you to ring customers up faster while presenting a polished, professional image. Let’s face it, while not always deserved, convenience stores have a reputation for being dirty. Even if you run a tight ship, older store designs may trigger that negative perception you’re trying to avoid. But some simple tweaks can make your store a destination customers feel comfortable spending lots of time in—and even recommending to their friends. Repaint with a clean, modern color scheme. Work with a design firm to accomplish this while staying consistent with your branding. Keep trash out of sight. Build an enclosure for your dumpster so it won’t be an eyesore. If your dumpster often overflows, now’s the time to ask your trash service for more frequent pickups. Offer better bathrooms. 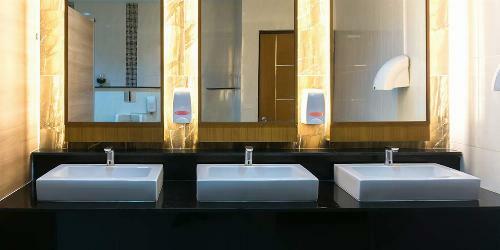 On top of ensuring that bathrooms are cleaned frequently, modern upgrades like touch-free soap dispensers and faucets, automatic hand-dryers, odor control and updated flooring and paint will instantly create a positive impression of your store. Whether you incorporate all of these ideas into your remodel or just a few, a fresh look will help create a welcoming atmosphere, encourage impulse purchases and increase the chance that customers will remember your store and return often. If you’ve tried any of these updates, comment and let us know how it worked out for you. Or find more tips and tricks in our blog’s Commercial section. What does your bathroom say about your restaurant? Restaurant patrons expect the latest design trends. From cleanliness to energy-efficiency, read these tips for a top-notch bathroom. With the convenience of online shopping, retail businesses are generating more cardboard and packaging waste than ever. Learn how to green your shipping strategy with recyclable packaging alternatives.